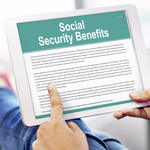 New legislation is has been drafted and introduced in the Senate and House that could have a serious impact on beneficiaries of Social Security Disability Insurance (SSDI). In what has been framed as an effort to help people with disabilities rejoin the workforce, the Return to Work Act requires that new beneficiaries be classified with regard to expectation of improvement, FRN reports. The bill, if passed, would make it more difficult for SSDI beneficiaries to maintain their monthly subsistence payments for several years or the remainder of one’s life. In defense of their bill, the Senators cite research which showed that the number of SSDI beneficiaries rose from 1.4 million in 1970 to nearly 9 million today, according to the article. Furthermore, the cost of the program has risen from $20 billion to $137 billion during the same time period. Senator Cotton has stated that only one-half of one percent of SSDI recipients return to work and discontinue their coverage, but the Social Security Administration’s (SSA) data (current through 2016), indicate that last year 8.81 percent of SSDI recipients were removed from SSI rolls in 2016. That is 830,044 out of a total 8,808,736 beneficiaries. If the bill is passed and new beneficiaries are broken up into subjective categories, it will work something like the following. Improvement is Expected: SSDI benefits would automatically terminate after two years. Improvement is Likely: SSDI benefits would terminate after five years. Improvement Possible: no automatic cutoff. Improvement Not Expected: no automatic cutoff.